I took a blank canvas, stretched a festive print fabric over top of it, and stapled it onto the back. 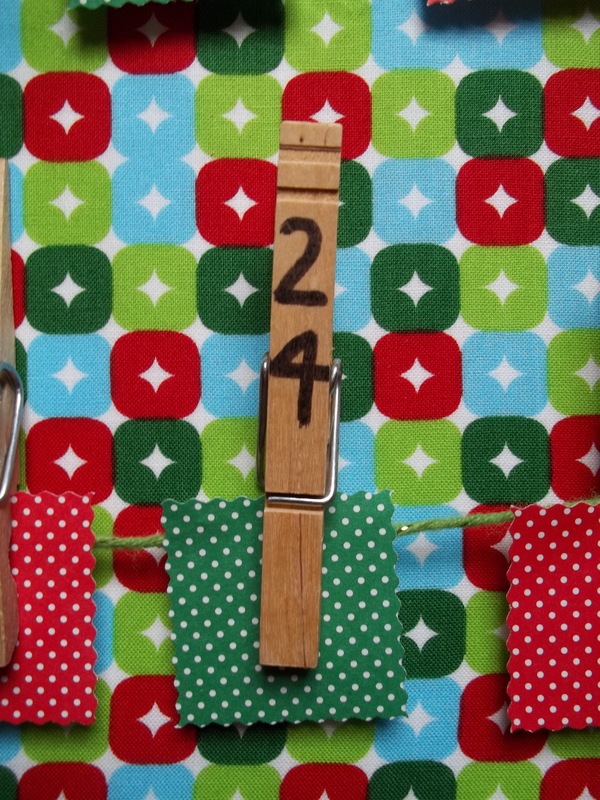 Then I took plain wooden clothespins, a good ole’ black Sharpie, and numbered them 1 to 25. After that I used 25 squares of printed cardstock and wrote an activity for our family to do on the back of each one. 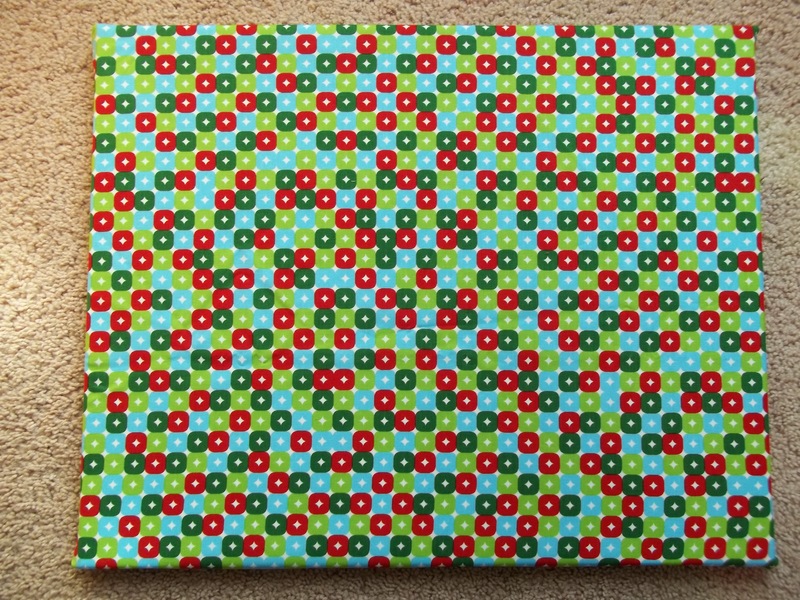 To put it all together, use lengths of yarn or twine and stretch across the canvas, stapling tightly to the back. 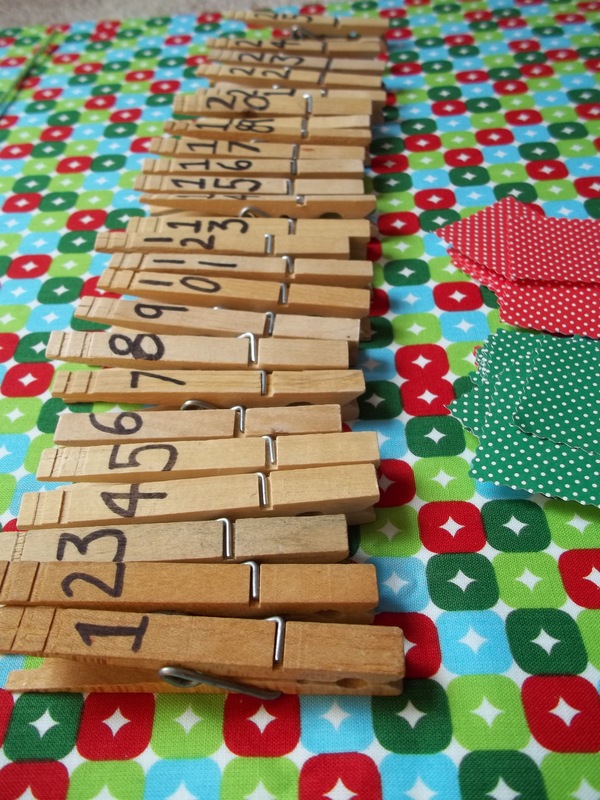 Arrange the clothespins with an activity square attached to each one, making even rows. That’s pretty much it! This project took very little time to make and I’m hoping the kids like discovering something new to do every day. So cute! I love the fabric you used! Stopping by from TT&J. That is so cute! 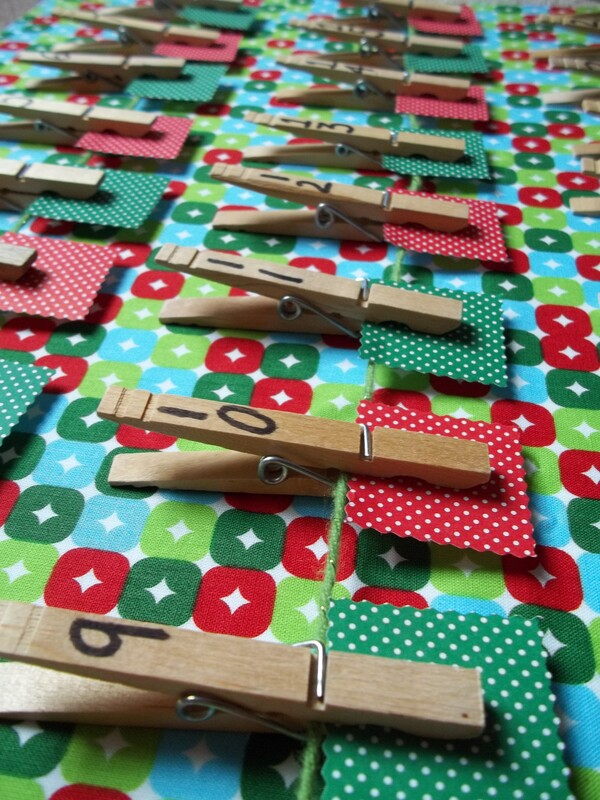 I have seen this idea on Pinterest too- I think yours looks wonderfully festive and fun! Your advent calender is so fun! Thanks for sharing, I found you through TT&J. 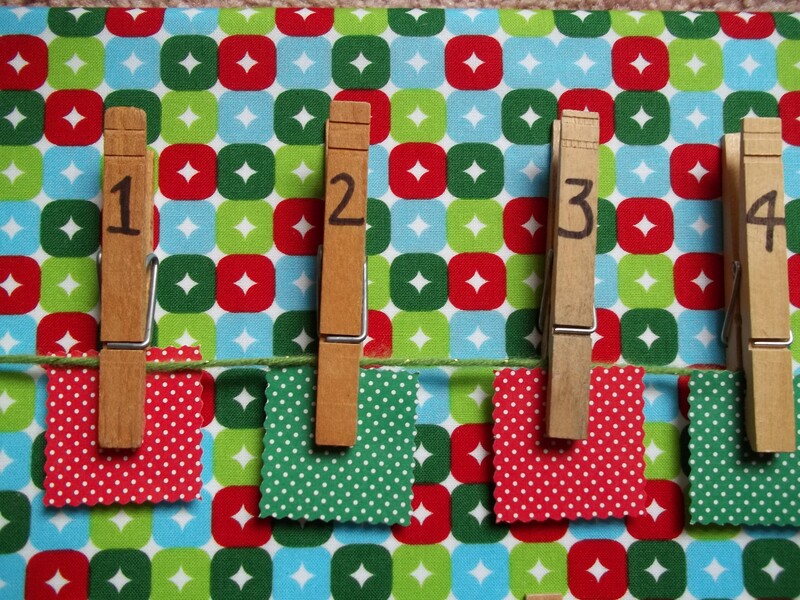 Pingback: 20 Holiday Advent Calendar Ideas! I love the fabric! 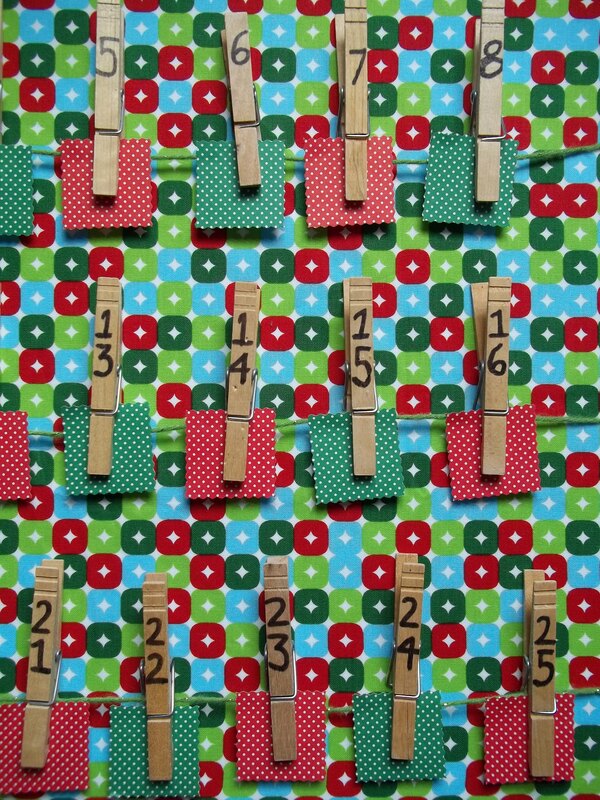 This is such a wonderful, cheery advent calendar. I also love that its about doing things as a family rather than stuff. I love it all. So pretty and fun! 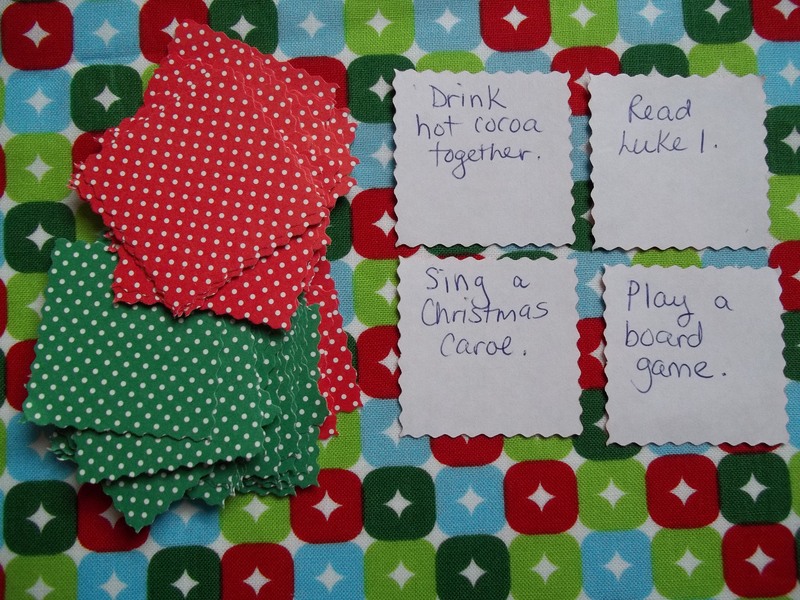 You should totally link up to my Christmas Linky Carnival. Adorable! We do an advent activity each day too, but our calendar isn’t nearly that cute! Great job! I’m so glad you shared at Shine On Fridays! Hope you’ll come back this weekend! I love this! 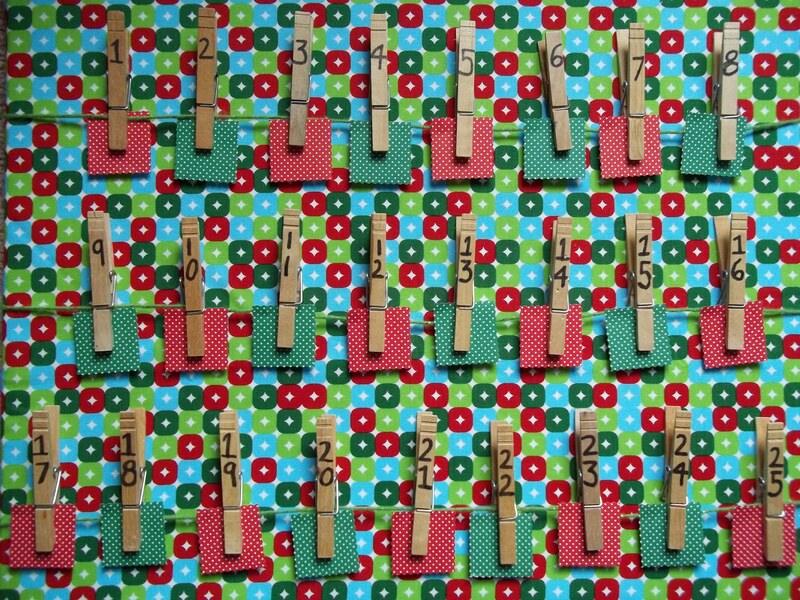 I am hoping to make a Christmas countdown calendar this week but am not sure how to do it yet!